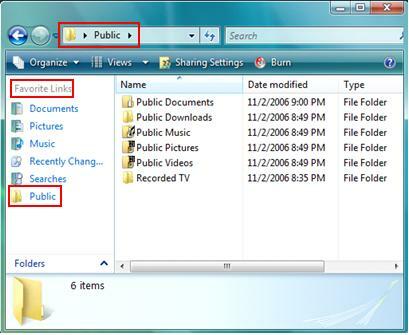 File sharing with public folder in Windows Vista is a simple way to share file without manual enabling file sharing on all folders or files that you need to share. It’s quick and easy! Basically you only need to enable file sharing on publicly accessed folder and dump all the folders and files that you wish to share into that folder, then it can be accessed by the users on same computer or other network users based on your configuration. All users on this same computer can access the public folder to share or read/write files, you cannot stop it. However for the access from other computer users in home network, you can decide whether everybody has read/write or only read access, or you can decide whether to enable password protected sharing on public folder. 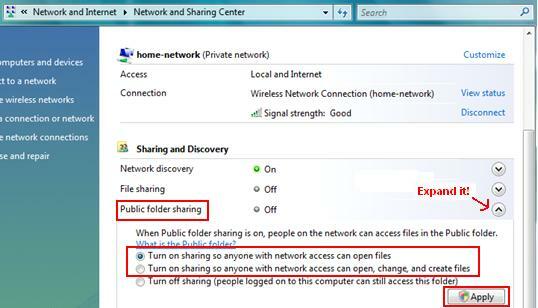 - Turn on sharing so everyone with network access can open files. - Turn on sharing so everyone with network access can open, change, and create files. Click the choice you need and then click Apply. If the Vista prompts you to provide computer administrator password or confirmation, type the password or provide confirmation. 3) You can also further control who can access this shared folder by turning on password protected sharing. 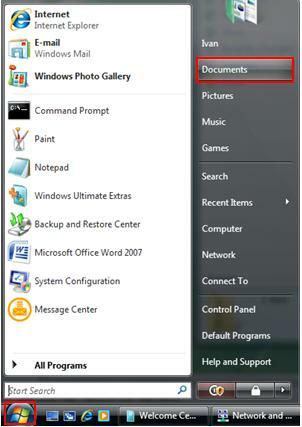 By doing this, only those people with a user account and password for this computer can access this folder after successful user authentication. Finally close this Network and Sharing Center window. Note: If you would like everyone to access this shared folder without giving username and password, skip this step. 4) Ok! Now you can proceed to do file sharing, but you might ask where is public folder? Hey! Relax! Go to Start again and click on Documents. 5) A new window will appear, click Public under Favorite Links, then you can just put the folder or file that you want to share in this folder or subfolders. It’s that simple! Return to top of “Easy File Sharing with Public Folder in Windows Vista"! !